Snake River Rendezvous is a light romance/action novel set along the Snake River between Oregon and Idaho, not far from where I live. 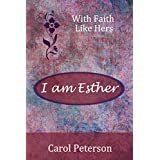 In the story, a recent business graduate takes over a run-down motel and meets her first paid guest, who not only turns out to be an ex-beau but also an FBI agent chasing a terrorist believed to be hiding somewhere in the area. I enjoyed the interplay of the two characters as they re-discovered each other while forgiving each other for past hurts. Subplots about family relationships, feelings of guilt and loss and career decisions were interesting and well-integrated into the story, as was a solid thread of faith that was presented sincerely, yet with a light touch. I read the book on Kindle. 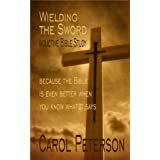 It is also available in paperback and has just been released in audio format, which is great for a lot of people I know who enjoy listening to the story. I recommend this book as a great read. 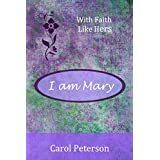 You can meet the author, Mary Vine, and find out about her other books at her website. 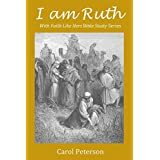 I write to help others see our lives as part of God's ongoing plan. Unless otherwise noted, all Scripture used is from THE HOLY BIBLE, NEW INTERNATIONAL VERSION®, NIV® Copyright © 1973, 1978, 1984, 2011 by Biblica, Inc.® Used by permission. All rights reserved worldwide. 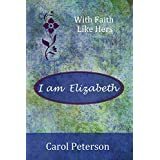 © Carol Peterson and CarolPetersonAuthor.com, 2008-2017. Unauthorized use and/or duplication of this material without express and written permission from this site’s author and/or owner is strictly prohibited. 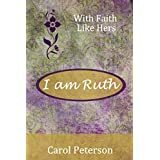 Excerpts and links may be used, provided full and clear credit is given to Carol Peterson and CarolPetersonAuthor.com with appropriate and specific direction to the original content.